I have had a complaint recently that there have been no more ‘James Learns to Cook Posts’ – very remiss of me! 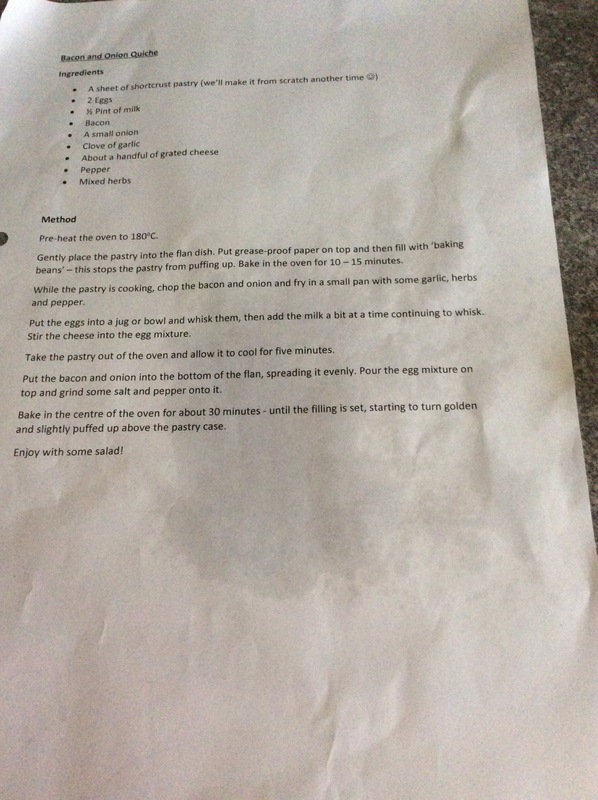 I have just been looking through my phone at photographs and came across some from a cooking lesson that I had failed to write up – good old British Spag Bol – oh, hang on, pasta’s European isn’t it? Oh well (… and that’s about as political as I will ever get on this blog!). I don’t have a photo of the finished product because I had deleted it before I remembered why I had taken it, it was rather delicious though. … and here boys and girls is how one chops and onion. Chop the onion and garlic, as finely as you can comfortably do without crying uncontrollably, and then fry them in some olive oil along with the oregano and pepper. When the onions are beginning to become ‘transparent’ add the minced beef and break it up with a spoon or spatula, adding more oil if it begins to stick. At this point I sometimes add a splash of red wine if I have some open; I don’t tend to bother opening a bottle just for this purpose (although it can be a good excuse). James only drinks Cava so that doesn’t help much. When the mince is beginning to brown, crumble the stock cube into it and add the fresh tomatoes, tomato puree and tinned tomatoes. Allow this lovely mixture to simmer for about ten minutes, cover with a lid if you have one. Grate some cheese and then cook the pasta, following the instructions on the packet. Taste the beef before serving and add more salt and pepper if necessary.